Back row L-R: Molly Watters, Keira Davidson, Tom Elliott, Robert Palmer, Olivia Conroy; front row L-R: Lauren Dalrymple, Emily Swinscoe, Chloe Deans. The new intake of nine employees includes earned media, owned media and paid media experts, front end web specialists and digital producers. Stuart Ross, Managing Director of Hallam, said: “The wider team and I at Hallam are delighted to welcome our new colleagues to the team. 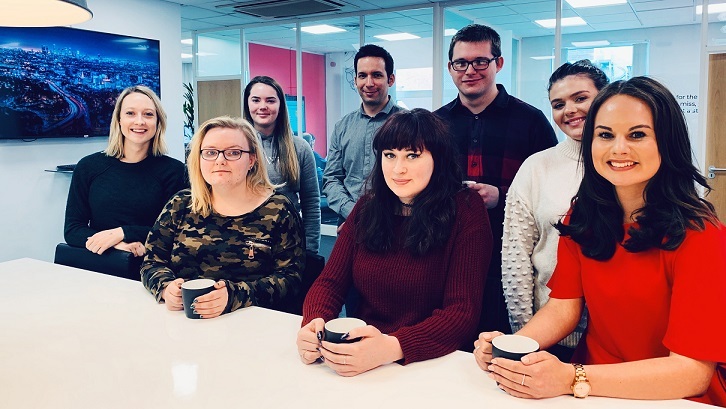 Hallam is committed to giving our clients a competitive edge and our newest recruits’ expertise in PR, social media, SEO, PPC and web development will support this vision.